Generally, when electricity demand rises in an area, we just fire up some source like a gas plant or a coal plant, or put more water through a hydroelectric dam, to produce more electricity to meet that demand. But what about other users voluntarily shifting their use to compensate for that rise in demand? This concept of Demand Response sounds simple, but until recent technological developments, like a smarter grid and rapid energy communication and control systems, it wasn’t feasible since the response time needed to be in minutes, not hours. Some users can shift their energy usage to different times of the day to help offset spikes in demand. One such user, the Northern Pacific Paper Corporation (NORPAC) in Longview, Washington, is a giant consumer of electricity. NORPAC uses huge thermal mechanical pulping refiners, driven by over three dozen 6,000-horsepower motors. But not all of these motors need to operate at specific times of the day. So when demand suddenly rises, we can turn some of them off instead of firing up a coal plant. As detailed in a recent article in Forbes, an energy company in the Pacific Northwest just demonstrated that Demand Response works really well. During a surprise test by the Bonneville Power Administration, Energy Northwest demonstrated that the Demand Response Aggregated Control System (DRACS) could be relied upon to handle rapid changes in electricity demand. As part of this demand response project, NORPAC agreed to let Energy Northwest shut down eight of their three dozen motors at a moment’s notice to reduce electricity demand. During the test, the DRACS system was able, through voluntary shut downs and supplemental battery storage, to free up 35 MW of electricity in 4 in minutes. If we evolve our energy infrastructure as we should in the years to come, it will involve more than just a smart grid, but a smart total system. If a number of electricity users are able to take part in demand response, then the potential for electricity savings is large. We also won’t have to build as many new power plants, wind farms or solar arrays as we would otherwise have to build. Nor would we need as many new transmission lines or new pipelines. The savings could top $200 billion over the next 20 years if implemented across the country. What potential does Demand Response have for meeting growing electricity demand? What can policymakers do to encourage projects like DRACS? The Potential of Demand Response is enormous and also the saving in additional infrastructure, you are taking on a response of minutes, however there are new emerging ideas in power restructuring creating opportunities of response in seconds. Some of those new initiatives were triggered by Sandy Super Storm, I am talking about NY REV, “Reforming the Energy Vision (REV)” drives by NY State. Think that Electricity Customers need answers. Then Electrical Utility Business model must to change, please find more information in the enclosed link. Electric vehicle charging is a future area for Demand Response. Charging EVs is usually not time critical. For example, a Tesla High Power Wall Charger can charge at the rate of 56 miles per hour. So, for daily usage of 100~150 miles, charging only takes 2~3 hours, much less than the hours available for overnight or at-work charging. And Teslas all have direct Internet connections and can be modified with software downloads, so all that is needed to make this happen today is a desire to do so and a connection between the energy utility and Tesla. As the number of EVs grow, this form of demand response will become more important and more powerful. You are totally correct, Electricity Vehicles charging and also supplying at the peak hours either Demand Response and Supply Response could create additional value for energy security and grid reliability issues. In 2009, I evaluated business opportunities associated with the potential participation of a firm associated to Dutch Railways as a partner of the Mobile Smart Grid (MSG) Project developed by electrical utilities in the Netherlands. This project was based on “Mobile Smart Grid (MSG)” Technologies, which might be flexible, with exchanges in both directions, similar to smart metering devices, and it is “Mobile” because the electric vehicles and their batteries could be parked and recharged either at home, or at workplaces, or at public places as well such us the train stations. MSG should have a communication infrastructure in order to gather information and know the whether the batteries in the electric vehicles are recharged or not. In some cases the rechargeable batteries can serve as back-up for the grid and help to improve its reliability; or they maybe available to supply an unexpected power peak in the grid, then smart grid technologies, time of use of electric infrastructure and demand-based tariffs, and electricity rates would reward smart energy customers and those who shift electricity use away from “peak” hours when demand is high and rates are costly. Demand Response (DR) is preferable to Supply Response (SR) for EVs. SR requires 2-way power inverters in the cars (an added expense and complication) and, more importantly, extra discharging and charging lowers the lifetime of the batteries. While the reduced lifetime of the batteries may not be material in reality, it will be material from a perception point of view. In addition, SR requires that the EV charging equipment to be two-way and that adds an even larger level of complication, cost, and safety issues. DR on the other hand requires no extra hardware or infrastructure (except for Internet connections, which some EVs have already) and has no perceptible impact on battery life. DR for EVs can be implemented tomorrow with the proper software updates to the cars and proper software at the utility companies. Electric Vehicles will create new flexible opportunities for Demand Response and Supply Response. All the industry is under development; utilities should change their business model and adapt themselves to the new distributed energy resource technologies and innovations ongoing. The NY REV, “Reforming the Energy Vision (REV)” drives by NY State is one emerging example of leading this change. The technical considerations of new Batteries and Infrastructure are under definition, new standards should emerge soon. Demand response (DR) can play a significant role in optimizing energy resources, particularly as solar and wind loads on electricity grids increase. Grid operators manage load intermittency, unplanned outages and demand fluctuations primarily with load curtailment and dispatchable resources. The problem with load curtailment or operating natural gas and coal units at minimum hold points (to allow rapid dispatch) is that those resources are being used at less than optimal efficiency – and as a result emissions/kWh increase. If instead, DR (curtailment) provided ancillary grid regulation service, then the amount of spinning reserve can be reduced. Along with energy storage and other “non-spinning” reserve capacity, significant improvements to energy efficiency – and thus reduction in overall emissions, including carbon, could be achieved. A National Renewable Energy Laboratory (NREL) analysis found that DR could meet 33% of frequency regulation, 19% spinning contingency reserve and 85% of flexibility reserve needs. Policy is essential to encouraging and compensating DR resources. A PJM analysis of DR participation in that market found that incentives and market rules to allow aggregation resulted in increased economic DR activity. From a consumer perspective, incentives to encourage participation are essential; however, substantial consumer education is still needed. For example, the average electricity customer is unaware of time-of-use (TOU) pricing, even though most utilities offer it. Advanced metering infrastructure is a vital component of expanding DR, as it can support highly variable DR programs. What is needed is customer education and policies to support deployment. New analysis from The Brattle Group shows that price-based demand response can reduce peak demand by nearly 20%, with the largest potential in the residential class. Renewables integration creates a new application for demand response requiring dynamic (real-time) pricing rates. Thank you for your comment. This new analysis from The Brattle Group is great, between lines you could discover that the actual utility business model must change urgently, new technologies, the increasing use of distributed energy resources, and new IT and Communications systems, plus consumer behaviors are demanding changes. NY REV is going in that direction, new regulatory tools will be developed. Utilities should change their business model. Great discussion! Yes, grouping large numbers of EVs (hundreds of thousands) are an interesting way to store and respond. I think Shanghai is doing this in a big way with smart, connected home charging network where the vehicle batteries are charged and discharged throughout the night to buffer the grid, but all cars are fully charged by 6 AM. Demand Response relies on individuals and industry willing to give and take which I think we are at now, because the pain is small and distributable among many. Of course, a smart grid would help a lot. We do not need to far to understand the potentialities of VGI (Vehicle-Grid Integration). This framework depicts the “Bidirectional power flow (V2G) in the Vehicle-Grid Integration (VGI)”, Bidirectional power flow at multiple workplace electric vehicle supply equipment (EVSE), coordinated by an aggregator in response to information based on local grid conditions would be classified in use case (4), further information visit Roadmap page 3. We are in the middle of new emerging regulations, and NY REV and California are leading this change. Nice to read about the positive potential of demand response. Thought you all might like to read similar thoughts from Jon Wellinghoff’s comments on a negative NERC report …..
Wellinghoff agrees, stating that while NERC’s perspective should certainly be considered, it overlooks a huge piece of the electricity system: distributed resources. “Real reduction in energy use over time will have effects on reliability, which NERC has overlooked — they only look at the number of power plants out there and how many will be retired, which is a narrow view,” said Wellinghoff. Indeed! The situation has changed so much it’s wrong to focus on past perspectives. We now have a plethora of tools to increase efficiency and demand response is one of the best. Demand response is one of several schemes to keep supply and demand in balance, while maintaining an adequate reserve capability. The value of demand response would have to be measured against competing choices to maintain supply and demand in balance. Other choices include applying conservation to reduce demand, shifting electric power production to off-peak times through the use of energy storage, shifting demand to off-peak times, and increasing energy supplies whenever that is more cost effective than these other choices. Probably greater energy conservation would initially be most economical choice until its marginal cost exceeds the cost of other alternatives. Energy conservation, like all other things, has its limits. The Nth layer of insulation in one’s attic cost the same as the first layer, but it is often far less effective. At some point it can be less expensive to add more supply than adding another layer of insulation. There are implementation problems also to conservation. For example, landlords who rent apartments may be reluctant to add insulation or other conservation improvements to their property if the benefits only accrue to the renters. This can be overcome, but it likely takes much longer than getting some large energy users to agree to reducing demand during high demand periods. On the plus side energy conservation decreases GHG releases and often lasts a long time. Shifting power production to off=peak time periods through greater energy storage will become more useful over time, but it requires significant cost reductions in the cost of energy storage that stores electricity (like batteries) or electricity storage by creating some intermediate medium (like hydrogen) that can be converted back into electricity. Shifting demand to off peak times is very attractive and this should be considered on a permanent basis, not just during the time period when there is peak demand. Such a permanent shift would create an increase in the reserve margin all year long. A permanent shift of demand also creates a stable work environment. Temporary interruptions of production raises questions about the additional costs of paying for a workforce that is temporarily unemployed and a workforce that needs to be employed, temporarily, during the time period of off-peak product production. The benefits of such a temporary shift in production, as described in the Conca paper, may not be as great as one might assume. If a company like NORPAC has to manufacture a certain amount of paper in a given time period to meet its customers’ demands, there may not be any reductions in the kilowatt-hours it would consume for the same paper production and onlysecondary reductions in the greenhouse gases (GHG) because such a shift would still consume about the same number of kw-hrs, whether operating off-peak or on- peak. ( There would be some GHG reductions if the off-peak electricity had fewer grams of CO2 per kw-hour compared to on -peak electricity). So the savings do not lie with using fewer kw-hrs or releasing less GHG and overall labor costs are likely to be higher. There is not a direct savings to the general public from demand responses which temporarily cut back on product production. The companies that agree to this must be compensated and the general public will likely see an increase in their electric bills to pay for this industry compensation. Where there might be significant savings is if the number of new power plants and new transmission lines that would otherwise have to be built without such demand response actions. However, a reduced number of new power plants and new transmission lines is not unique to these demand reduction actions. such potential savings also apply to the other processes that keep supply and demand in balance, as identified above. There are limits on the number of companies that can use the Conca demand response approach to maintaining a balanced supply and demand situation. Some companies produce products that can not be interrupted on short notice. For example, the production of corrugated cardboard boxes requires that these boxes proceed down an assembly line that includes hot air blowers to dry them out. If these blowers stop the partially dried boxes will curl up and become useless. In general. it may not be possible to interrupt a number of continuous product manufacturing businesses without paying large penalties. A few words about electric cars which some have brought up as a scheme to deal with balancing supply and demand.. Supplying electric cars from the grid [G2V], especially during off-peak time periods is very attractive possibility. However, having large number of parked electric vehicles supply electricity back to the grid during peak demand periods [V2G) looks quite unattractive. The optimum time for the V2G activity is during the period of peak demand. During the rest of the year the need for such electric vehicle activity is unnecessary. This would mean that all the infrastructure that would have to be put in place to enable a V2G process to proceed, would remain idle during much of the time. This would be very expensive. The V2G arrangement depends upon sufficient number of electric vehicle drivers participating in this program, when needed. 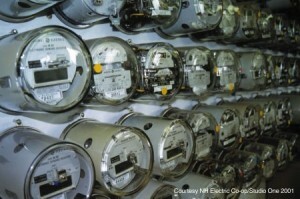 The uncertainty in the number of electric vehicles that might be hooked up to this V2G process and the number of kilowatt-hours each vehicle might be able to send back to the grid is another source of uncertainty and this level of uncertainty during high demand periods may be unacceptable to utilities and their Power Commissions. Some of this uncertainty might be reduced if the V2G process is used in a “micro-grid” fashion, i.e, sending electricity back to buildings near where the electric vehicles would be parked. The Distributed Energy Resources, the Vehicle-to-Grid (V2G), the Energy Storage, the Demand Response and the New Technologies for changing the current utility centralized approach are there.